My apologies for not posting much the past two months - excuses involve heat frustration and a general sense of creative ennui, as well as several weeks of computer paralysis - but I wanted to include this post about Claude Debussy's Violin Sonata being performed by Peter Sirotin and Stuart Malina on the second of three programs for Market Square Concerts' Summermusic 2013, today (Sunday, July 21st) at 4pm in Harrisburg's air-conditioned Market Square Church. Last August marked the 150th Anniversary of Claude Debussy's birth which was largely overlooked in this country. Peter Sirotin – artistic director of Market Square Concerts as well as violinist in the Mendelssohn Piano Trio and acting concertmaster of the Harrisburg Symphony as well as a teacher associated with, among other schools, Messiah College in the Central Pennsylvania area – suggested this video to me, a compelling performance of Debussy's sonata by violinist Janine Jansen and pianist Itamar Golan, recorded in 2011 at Paris' Salle Pleyel. It's one of the best performances of the work I've ever heard, so even if you are familiar with the piece, I strongly suggest listening to these clips. 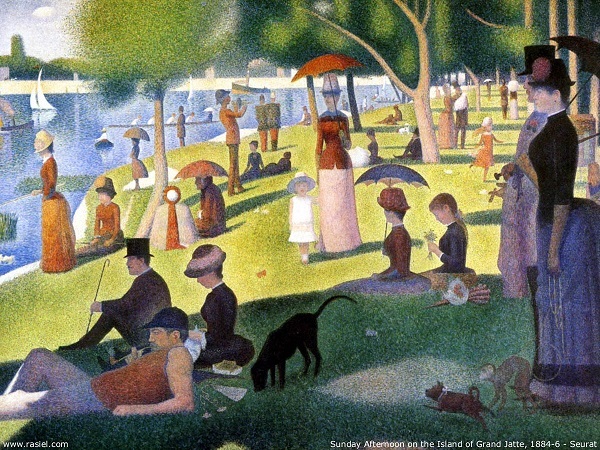 When most people hear Claude Debussy's name, they pair it with the term “impressionism,” a stylistic approach to the vague representation of an image used initially in painting – for instance, in Monet's rain-enshrouded cityscapes. Musically, it involves a sense of instrumental color, harmonies that sound vague when compared to, say, the traditional music of the 19th Century, and an approach to form that more than likely suggests the lack of form than something so standard – and to the French as so “German” – as the Sonata with its detailed structures and direction-oriented tonality. It is this lack of “tonal tension” that still makes some people uncomfortable even 120 years after The Prelude to “The Afternoon of a Faun” which Debussy wrote between 1892 and 1894. We seem to be in no particular key and since most of Standard Classical Music was built on the concept of tension-and-release in the role of tonality – stating a key (say, G Minor), digressing from that key and creating a sense of tension that, ultimately, will be resolved by returning to that key – and this gives “Impressionistic Music” the sense it “has no tension” which (if you listen to any of Debussy's major works like La Mer or parts of his only completed opera, Pelleas et Melisande) is not the case: his tension, however, is the result of other aspects of music but not the natural pull of tonality. While Debussy's sense of harmony was liberating for both classical composers – Stravinsky would have been very different without it – and for jazz musicians, to his contemporaries, it may have sounded just as “unsettling” as another musical style developing in Vienna and Berlin around the same time – a style we call “atonal” and which is best represented by the earlier works of Arnold Schoenberg, especially in works like Pierrot Lunaire which celebrated its Centennial Anniversary last year, where a listener would be hard-pressed to find even a single traditionally used triad to latch on to for familiarity's sake. And yet both are part of the same musical continuum: as music of the 18th Century with its classical lines and direct structural clarity (and, of course, its strict adherence to traditional tonality) gave way to one of the 19th Century's primary reactions and expansions of those concepts into what we call “Romanticism” with its more free-wheeling use of harmony taking us further (and further, once you get to Wagner's Tristan) from standard tonality, not to mention its overall structural ambiguity and more emotional responses. By the time we were getting closer to the 20th Century, composers like Franz Liszt were flirting with music so “chromatic” it had no sense of tonal center at all. Even as lush a piece as Schoenberg's Transfigured Night from 1899 threw most listeners for a musical loop, “as if the pages of Tristan had been freshly smeared,” even though it begins clearly in D Minor and ends radiantly in D Major! Atonality reached something of a peak between 1912-1913 with three seminal works: in addition to Schoenberg's Pierrot Lunaire and Stravinsky's Rite of Spring, there is also Claude Debussy's ballet, Jeux which is probably the epitome of his stylistic ambiguity, especially its magical if not ominous opening. After each of these works – as Wagner had done with Tristan in 1859 – their composers pulled back from the direction it would take them, whatever that may have been. 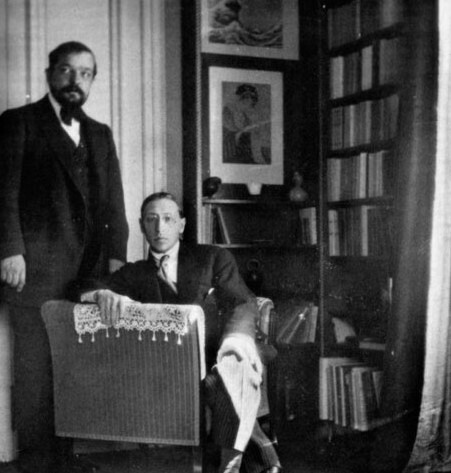 Stravinsky's was almost immediate: having “done” The Rite, he seemingly repudiated its vast musical canvas and searing dissonances by writing small, comparatively intimate works – of which the “Five Easy Pieces” heard on Summermusic's first concert, written in 1917, is just one example. Schoenberg may have taken a little longer, but then he spent several fallow years before he developed the style – better, the “compositional approach” – that became “serialism,” a term that requires more explanation than I have time for in a post about Debussy. Let's leave it at the realization that, like harmony working within a tonal framework is a”system” where chords have specific hierarchies and distinct functions (the IV chord leads naturally to the V or dominant chord leads inevitably to the I or tonic chord), and that Schoenberg's “system of composing with twelve notes” in which no single pitch has any more prominence than any other, is a system that replaces the “rules” of tonal harmony with a different set of rules, but rules nonetheless. Like it or not, it is another way of writing music: Mozart, in writing a Sonata in C Major, was as much bound by rules as Schoenberg was in his String Quartet No. 4 which, despite its surface language, still relies on rhythms not too dissimilar from Mozart's time. If you listen to Transfigured Night from 1899 and then to the opening of Pierrot Lunaire from 1912, followed by the 3rd String Quartet of 1927, you will notice a strong difference in the style of this composer over a span of 28 years. Now, since this is a post about Debussy's Violin Sonata, what does all this have to do with Debussy? - and again, just the opening movement from the Violin Sonata of 1917. It's quite possible – though I don't think he may have ever stated it as openly as this – Debussy may have felt this representational or “picturesque” approach to his music had taken him about as far as he cared to go with it. He was, after all, a notoriously slow composer, taking about ten years to write his only opera, Pelleas, even though Jeux was composed in a mere month. But look at the next works he composed: with the advent of World War I, Debussy found himself editing Chopin and, as a result, found inspiration to write a set of Etudes much in the same way Chopin had. Rather than giving them picturesque titles as he had done with the second set of Preludes written in 1913 (“The Terrace of the Audience in the Moonlight” or “Dead Leaves” – admittedly, they lose considerable beauty in translation...), the etudes, composed in 1915, were given abstract names describing their technical challenges (the purpose of an etude, after all) like “For the Fourths” (after the interval of a fourth) or “For the composite arpeggios” and so forth. That was the same year he began his projected series of six sonatas “for diverse [combinations of] instruments,” of which he composed only three: the Cello Sonata and the Sonata for Flute, Viola and Harp, both from 1915, and the Violin Sonata completed and premiered in 1917. 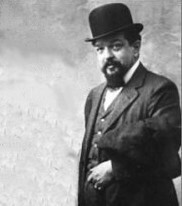 The next sonata Debussy composed was for the unusual combination of flute, viola and harp, but sounding so natural for Debussy with its flute part reminiscent of the earlier “Afternoon of a Faun” solo, the colorful use of the harp and the deeper tone of the viola as the middle voice than either the violin or cello. The most memorable aspect (if not “impression”) of this sonata is, compared to its two fellow-sonatas, how impressionistic it sounds: again, the use of coloristic chords and ambiguous tonal relationships. By comparison, the opening movement of the Violin Sonata is another world – for one thing, its clarity is distinctly classical rather than impressionistically romantic, and it is, after all, a sonata that is actually an old-fashioned sonata, unlike its two companions which are just called that. It's curious, but many people regard this sonata as “the weakest of the three” or “an illuminating failure.” They miss the point. Why would he repudiate his former style in favor of something – the tonal requirements of a classical sonata form – he had proven to be unnecessary in practically all the music he had been composing since the 1880s? Again, bearing witness to Debussy's two contemporaries, Stravinsky and Schoenberg, it is very clear Debussy's thoughts were headed in a new direction. If he was looking for “other ways” to organize his music, why not try to hybridize the old structures with a language that was still his own? If you follow the concept of the dialectic, an idea (or thesis) is countered by a reaction to it, not necessarily its opposite but a contradiction to it (antithesis) out of which one finds enough common ground to create a synthesis which, in turn, becomes a new idea (or thesis) to which there can become a new antithesis and so on. If Tonality is our initial “thesis,” then Atonality is its “antithesis.” Schoenberg and Stravinsky each found their own way to reach a “synthesis,” just as Ravel would do. 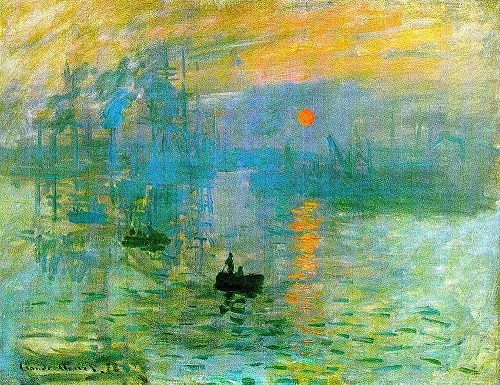 For Debussy and Ravel (two very different composers forever crammed into the same pigeon-hole of impressionism), the “antithesis” might be “Impressionism” which might be tonal or atonal, depending on how you created it. For Ravel, his later music became more classically lined, particularly in light of what we'd call the whole “Neo-Classical” School of the early-20th Century, to which Stravinsky would inevitably belong as, in a broader sense, would Schoenberg's serialism, if you examined the technical aspects of it and his textures, for the most part. But then, we normally consider “Neo-Classical” as a tonal approach, harmonically, and that leaves serialism out of the equation. But Debussy didn't live long enough to follow through with his synthesis: he died the following year. Diagnosed with cancer as early as 1909, his health began failing with the advent of the war. In late-1915, after completing the first two of these six sonatas, he endured one of the first colostomies ever performed. Though the respite was brief, it was enough to allow him to compose one more sonata: its premiere on May 7th, 1917, was the last time Debussy would perform in public. He died on March 25th, 1918, his funeral procession weaving through the deserted streets of Paris during the German aerial bombardment. It's clear from these three sonatas that Debussy had different approaches in mind for each one, not very different from any 18th Century composer who wrote string quartets by the half-dozen (think of Mozart's “Haydn” Quartets or Beethoven's Op. 18), not just in the instruments they were written for. 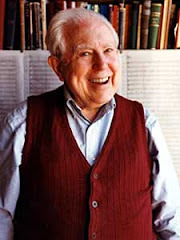 Where they might have gone has intrigued composers throughout the 20th Century – witness the works inspired by them by Richard Rodney Bennett (mentioned in the companion post, here). So it's unfair to call the Violin Sonata a “failure” because it doesn't match up to the Impressionism of his earlier style – it is its own work and an assured one, at that, plus it has implications for a future Debussy never had the chance to explore – or that we ever got the opportunity to experience.